Winter light baths a very frozen Mount Shasta. 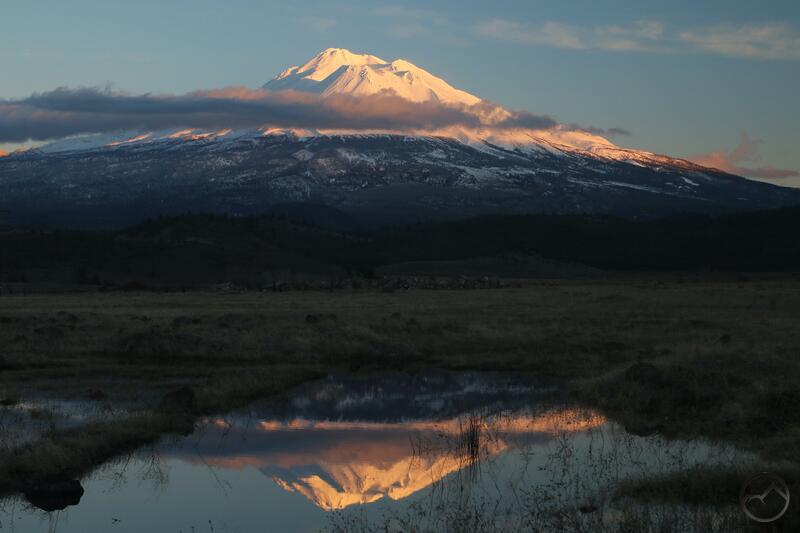 After a week of solid precipitation, the clouds finally parted and Mount Shasta was, at seemingly long last, revealed to its admirers once again. It seemed like much longer than it it really had been since I had seen the mountain. It was a bluebird day up on the massive cone. The sun was bright and the great volcano was showing off a shiny new mantle of snow and ice. Even the numerous crags were thickly coated with snow and rime ice, making it so that no other color appeared on the mountain but white and shadow. 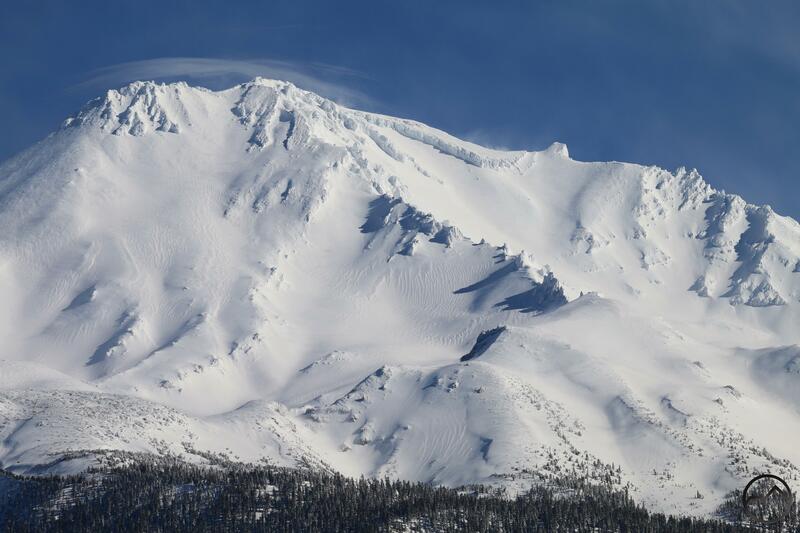 I especially love it when Mount Shasta is covered this way. It is a frigid but spectacular spectacle. This is particularly the case around the towers and spires that protrude from the mountain’s flanks. They cast shadows on the snowy expanse. It was a pleasure to behold, both midday and also again as the sun began to set. With all the rain that fell, my favorite pool in the Shasta Valley finally returned after two year absence. I can finally get a few reflection shots from the north. Tonight’s sunset was especially spectacular by Mount Shasta standards but it was magnificent nonetheless. With all a sunny outlook for the weather, the next week promises a great opportunity to hit the area’s trails and enjoy several tremendous sunrises and sunsets! Gorgeous photography…it’s a breathtaking area to see.